By Mustaza Mustafa in Web Design. Updated on April 12, 2018 . So for the past three days, we’ve given you a quick intro on building responsive web designs for a mobile layout and showcased some free and premium WordPress themes you can adopt for your website. H5BP4J is a responsive template starter (very basic) for those who prefer to create their own templates. 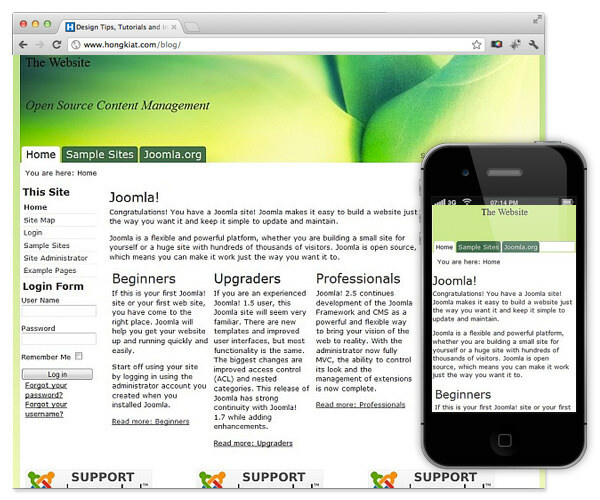 This template starter was build on HTML5 Boilerplate. Music is a free responsive Joomla template from GavickPro. This Joomla template produces a breathtaking Web site that will catch your visitors’ attention. Elastica is both beautiful and well presented responsive, and it can fit to all screen sizes, including extra widescreen. 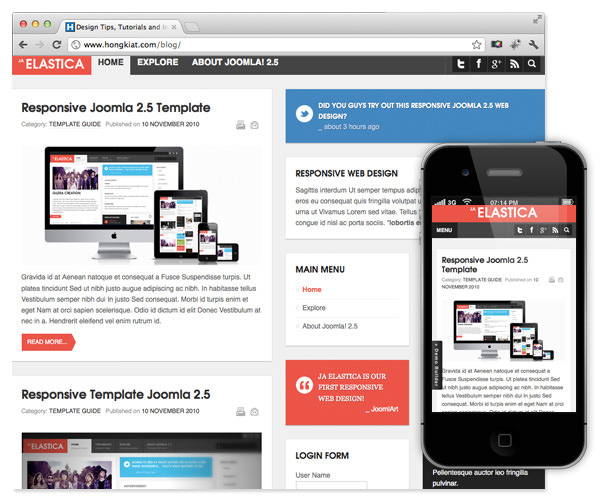 Elastica is built on JAT3 2 Framework and jQuery Masonry script. 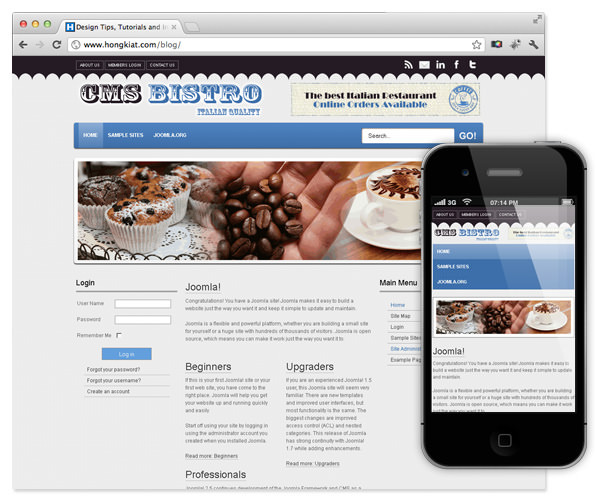 CMS Blue is a simple responsive theme that offers the basics but you can always use your creativity to modify. 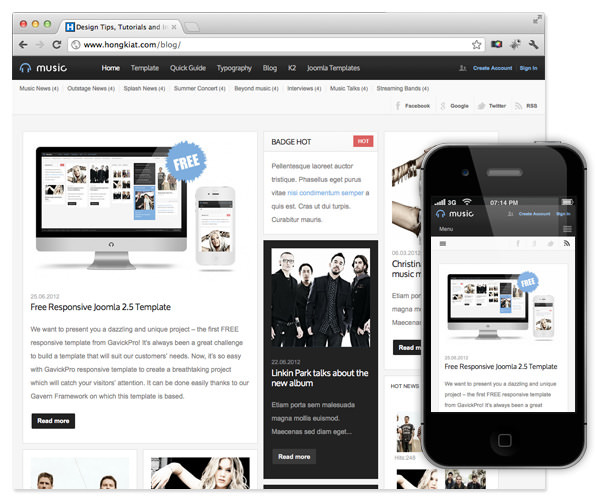 This CMS Theme also comes in different colors and style; CMS Grey, CMS Water and CMS White. 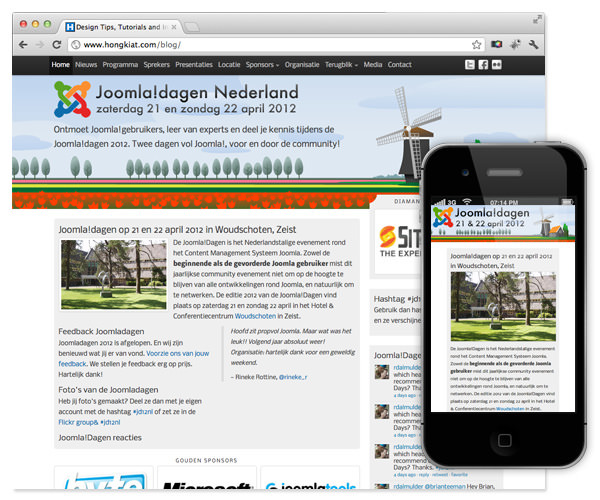 JoomlaDagen is a responsive template for Joomla 1.7. 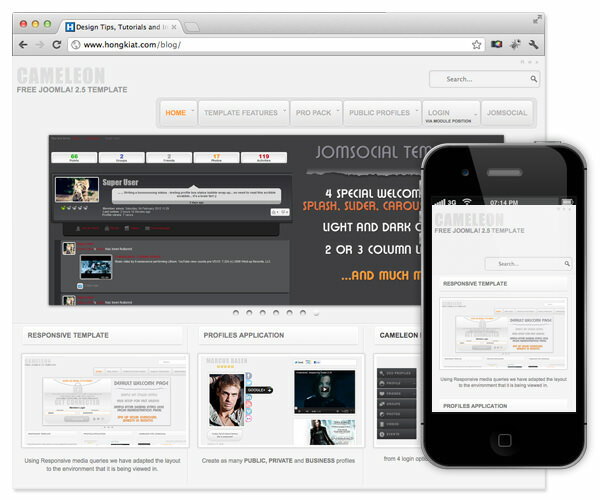 The template is also using Twitter Bootstrap, Skeleton and Google Fonts. Puresite is a simple and clean yet beautifully presented responsive Joomla template. This template works well and fits any screen sizes, and the minimalistic design makes it look great. Leo Restro comes in 3 theme colors to suit your style and support customization for background and fonts via template configuration. 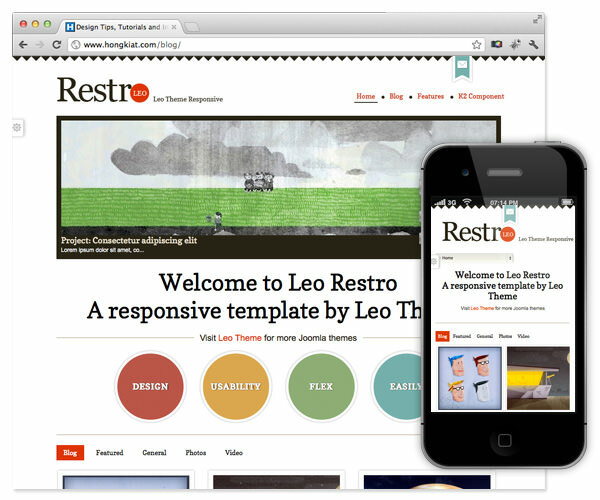 Leo Restro is built on the Leo Framework. OneWeb is a basic template or ‘template starter’ for Joomla that was built with responsive design in mind; one that you can use for better template design development. Among the features are a fluid grid, HTML5, lightweight and fast. 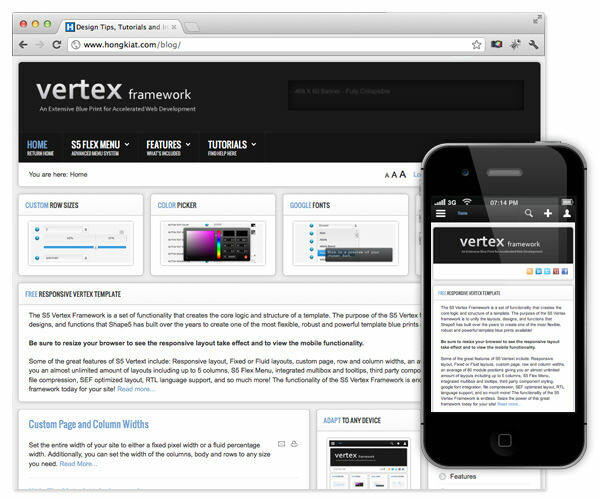 Vertex is a free responsive Joomla template, however the download will require a free membership. Vertex is built on Shape5 framework which offers 95 module positions, custom row and column width, and much more. 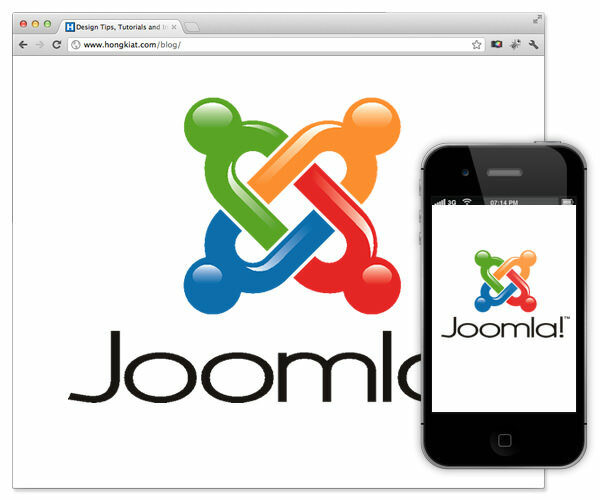 This blank template is an HTML5 template for responsive web design on your Joomla 2.5, created with HTML5 Boilerplate. No graphic or modules, just a solid future-proof foundation to start your Joomla development with. 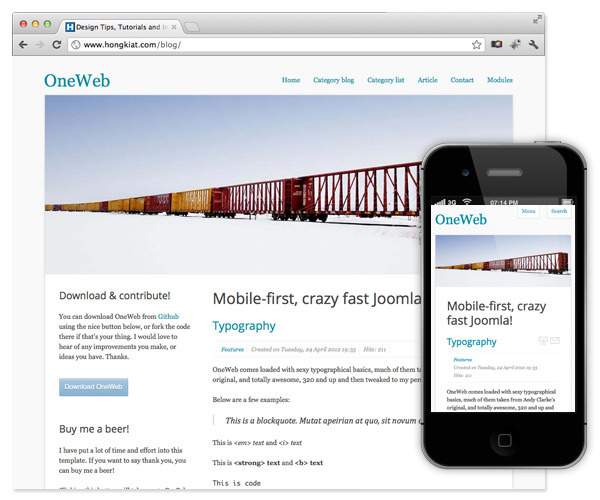 If you’re into developing your own responsive design, have we got some tools for you. Same time tomorrow. Don’t miss it.